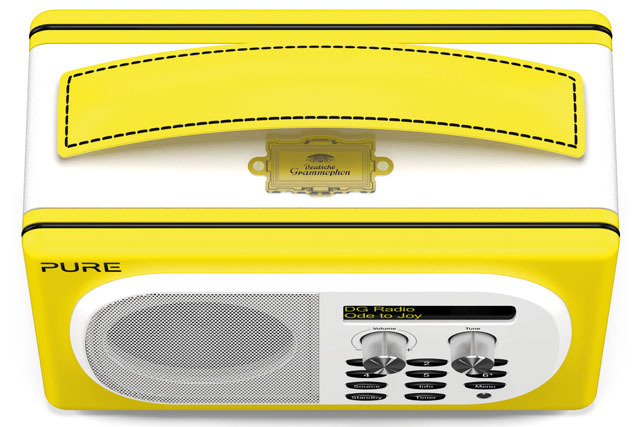 Pure’s new Deutsche Grammophon radio – who you callin’ yeller? I don’t usually go a bundle on ‘special edition’ audio products – they’re pretty much fashion-driven, and as such tend to go out of style faster than things that go out of fashion very quickly. There have been some horrors pushed out onto the market over the years, including Ferrari-branded headphones looking like industrial ear-defenders, and any piece of personal audio with a Hello Kitty connection, and they usually arrive with a press release commenting on how ‘funky’ they are, or how the manufacturer has ‘worked closely with’ everyone from F1 teams to jewellery designers to come up with products for the discerning consumer. 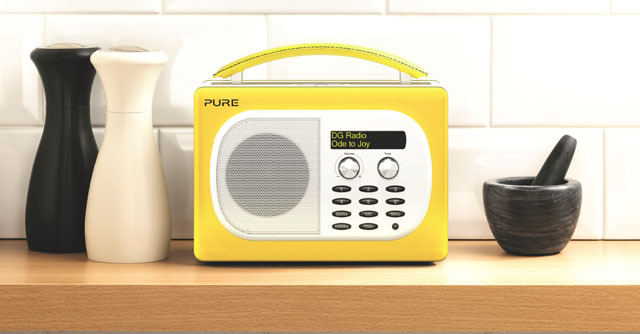 I have to make an exception, however, for the new Pure Evoke Mio Deutsche Grammophon Edition DAB/FM radio, just because it plays things pretty straight, and for all its eye-catching looks – what else could it be, finished as it is in DG yellow? –, it’s a relative classy bit of cross-branding. Finishing the effect is a plaque on the top panel replicating the DG logo, and the whole effect is really rather pleasing. Add in the fact that the Evoke Mio is a really rather good-sounding little radio, and has the option of a rechargeable battery-pack good for around 24 hours of listening on a single charge, and you have a product that’s as much fun as it is (almost) sensible. For the the classical music listener in your life, it could be the gift of Christmas 2013.